I’ve said this before but I will still firmly say it again- Hannah Kerr is one of today’s most underrated artists in my opinion. Even though her 2016 debut album Overflow (which we reviewed here!) garnered hits such as “I Stand Here”, “Undivided”, “Warrior” and “Radiate” to name a few, Hannah’s name isn’t recognised still. Though at 21 years old, she still has enough time on her hands to forge a following and a big enough fan base in the future for her to be more well-known. Yet though Hannah is underrated, it doesn’t mean her music is by any means second-rate. In fact, I would say that you guys all should watch out for Hannah- because, on top of her brand new single “Glimpse”, which released last week- her latest CCM pop melody “Split The Sea” is about to take the world by storm! As poppy as any radio friendly song this year, “Split The Sea” is driven by vibrant electric guitars and impacting keys, as Hannah passionately reiterates throughout that even when we’re in the deepest valley and there seems to be no way out, Jesus is right there, guiding us, and splitting the sea- the tidal wave that is towering over us like He did for Moses way back 2000 + years ago! Well primed for radio, “Split The Sea” is Hannah at her brilliant best, as she vocally, musically, lyrically and thematically shows us a more vulnerable side of herself. As Hannah ardently sings her heart out and fervently declares that Jesus is all mighty and all powerful- thus the reason for the worshipping of our Father; we are inspired to call upon God to split our ‘seas’ as well- and he definitely will! Hannah Kerr’s introduction into CCM in 2016 with her debut 11 song project is nothing short of poignant and heartfelt. With her musical style similar somewhat to Casting Crowns in quite possibly every way, it is nonetheless her fervent enthusiasm and passion for the Kingdom, that will definitely propel her to new heights in months to come. 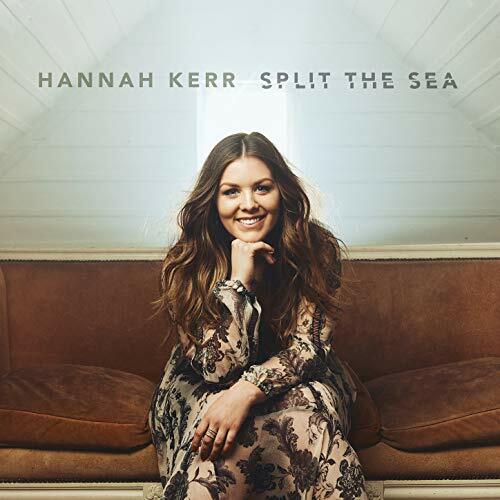 With “Split The Sea”, as well as “Glimpse” being one of my favourite songs of the year thus far; any fan of worship music and/or CCM will love this new track, and will also be eagerly anticipating Hannah’s brand-new album to be released at a later date. Well done Hannah for such an encouraging and compelling melody. Already looking forward to the next release, be it another single or an EP or a full-length album, whenever it arises.